A 71-year-old Baltimore County resident has a history of coronary artery disease and pacemaker treatment. He is transferred from Sinai Hospital to Johns Hopkins Hospital, with a diagnosis of mitral valve endocarditis. He agrees to mitral valve repair and removal of his pacemaker. Subsequent to the surgery, the man suffers a left pleural effusion- a build-up of fluid around the lungs. He undergoes thoracentesis- a procedure to have the fluid removed. 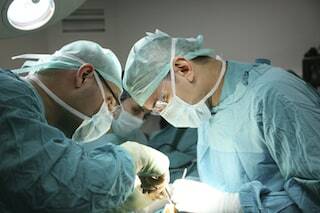 During this procedure, he suffers a punctured artery, a life-threatening hemothorax which requires an emergency thoracotomy, and emergency life-saving measures are done at his bedside. The man's family soon becomes extremely concerned about the care Johns Hopkins is providing him. After the family voices their concerns to the medical staff, they perform a chest CT. The CT shows a residual left hemothorax, and the man is forced to undergo multiple procedures and submit to a 2-week course of antibiotics. In the following days, weeks, and months, the man experiences severe issues, including but not limited to a paralyzed diaphragm, and submitted to several painful and invasive procedures. The man files a medical negligence lawsuit in Baltimore City against Johns Hopkins and the doctors who cared for him. He alleges that they violated the standard of care by failing to properly perform the thoracentesis, resulting in puncture or injury to his artery, pneumothorax, and hemothorax, as well as other injuries, both mental and physical. Plaintiff has not yet filed a Certificate of Qualified Expert or filed a request for an extension. Thoracentesis is a procedure that takes out the fluid between the lungs and the chest wall. The surgeon enters the chest wall by passing a needle just above a rib to avoid the intercostal artery. Malpractice lawsuits often result from this procedure, as surgeons often place the needle into the coastal artery and perforate it. But it is certainly not negligence in every case when the intercostal artery is perforated. There are also issues about clotting with thoracentesis that are a reoccurring theme in many malpractice cases. The standard of care for a thoracentesis dictates that prior to performing the procedure, the patients clotting profile is assessed for abnormalities that would tend to make a patient more susceptible to uncontrolled bleeding during and after a thoracentesis. In addition, the standard of care dictates that a patient on Plavix or patients that otherwise have an abnormal clotting profile receive therapeutic and prophylactic platelet infusions prior to the thoracentesis to counter the effects of Plavix, which inhibits platelet aggregation. Yet another issue with thoracentesis involves monitoring patients after the procedure. The standard of care requires periodic assessment of the patient's respiration, pulse, blood pressure, and pain every two hours after completion of the procedure for possible complications for at least 24 hours. If you have had an unnecessary or negligently performed medical procedure or operation that has caused injury or death of a loved one, our law firm can help you. You are entitled to justice and monetary compensation for the needless harm that has been done to you. Miller & Zois has a very long history of results n medical malpractice cases in Maryland, earning large verdicts and settlements. Call today to speak to a caring attorney who is ready to listen to you at 800-553-8082 or get a free, no-obligation online case review. Learn more about surgical malpractice cases in Maryland and the settlement and trial value of specific types of claims.